Director, Translational and Clinical Research, Department of Cardiothoracic Surgery, Weill Cornell Medical College – New York Presbyterian Hospital, New York, NY, USA. Cardiac surgery has evolved immensely in recent years. Over the past two decades, we have witnessed remarkable innovations in the form of off-pump coronary artery bypass, minimally invasive direct coronary artery bypass and valve surgery, robotic surgery, and catheter-based interventions such as mitraclip implantation, transcatheter aortic valve implantation, and transapical mitral valve repair and replacement techniques. Several evolving techniques and surgical prostheses have also diversified surgeons’ armamentarium. In addition to the classic elephant trunk which was considered an evolutionary stride in the treatment of extensive aortic disease, new approaches such as the frozen elephant trunk, hybrid open branched stent grafts, and thoracic endovascular aortic repair (TEVAR) have gained popularity. The primary objective of these and several other innovations remains simplification of surgery, and improvement of surgical quality and patient outcomes. The patience and persistence of academic cardiac surgeons in transforming clinical practice has indeed been worthwhile. Through innovations that were almost inconceivable in the past, cardiac surgery has become one of the most fascinating and respected specialties worldwide offering treatment to patients with excellent results. However, the question still remains: Are we at the pinnacle of cardiac surgery yet? And if so, is there still room for further advancement in technology and skill? 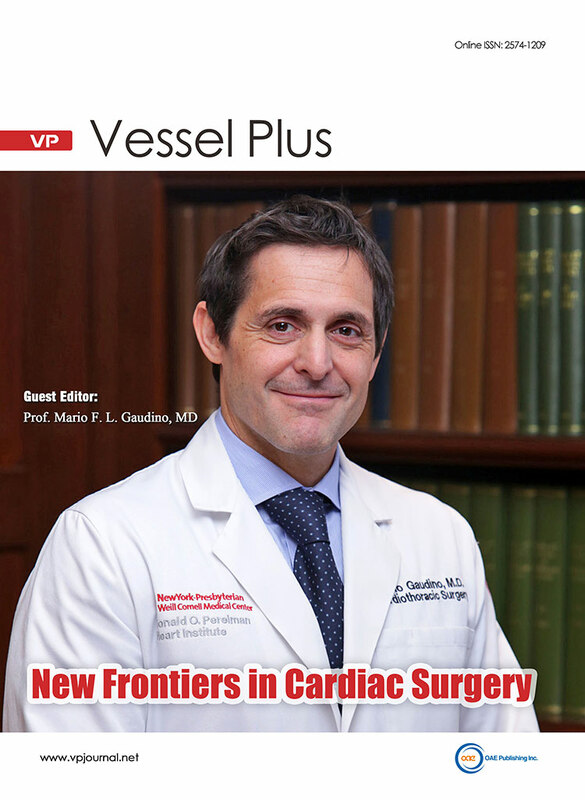 In this issue of Vessel Plus, we do not only devote attention to discuss these questions, but also, most importantly, encourage our authors to report their experience for the benefit of the scientific community interested in discovering the latest frontiers in cardiac surgery.